Valentine’s Day is quickly approaching, and it’s time to start making dinner reservations, buying cards and gifts, and preparing school valentines for the kiddos. Valentine’s Day has always been one of my favorite holidays. When I was little, my mom would always surprise me with a little gift on Valentine’s Day, and I love carrying on that tradition with my kids. There’s something so gratifying about giving someone a gift that they aren’t expecting and watching their face light up. I also have a slight obsession with the color pink, so I can’t resist the cute stuff that comes out this time of year! 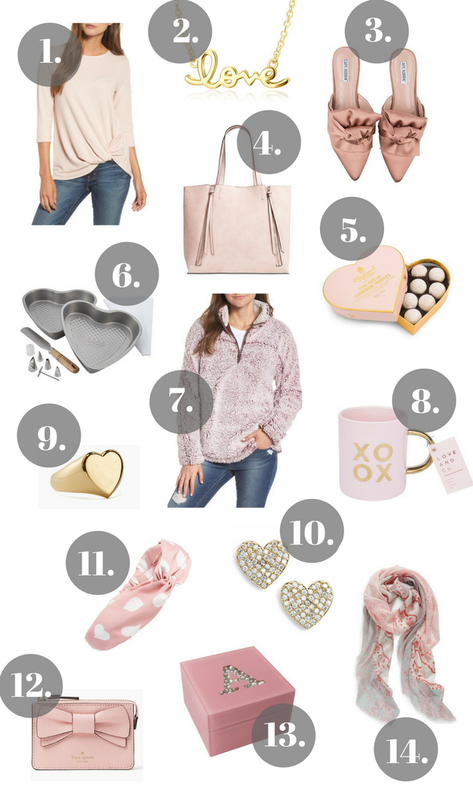 I’ve rounded up some of my favorite Valentine’s Day inspired items below.